Music is a huge part of my life. So, it is no surprise that it is also a huge part of my novels. 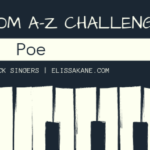 I thought it would be fun while I am writing A Deadly Melody to post my chapter playlists, so it will give you a little glimpse into what songs are inspiring my novel, chapters, and even characters. 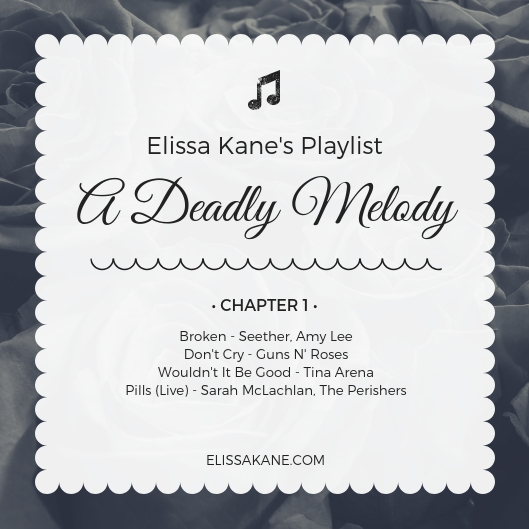 Today, I am sharing with you my playlist for Chapter 1 of A Deadly Melody. If you are looking for an overall theme of chapter 1 it is definitely sadness. 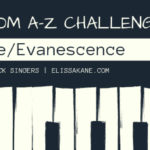 “Broken” by Seether and Amy Lee and “Don’t Cry” by Guns and Roses are great examples of the sadness my characters are feeling at the beginning of A Deadly Melody. The third song on this chapter’s playlist is another of my favorite cover songs: “Wouldn’t It Be Good” by Tina Arena is such an amazing version of the ’80s new wave hit by Nik Kershaw. It is a completely stripped down version that allows you to really focus on the lyrics, which are actually quite sad. “Pills” from The Perishers and Sarah McLachlan is a very relevant song to several of my characters who are all struggling with their own form of sobriety. What’s Coming Up On The Next Playlist? Chapter 2 brings a new adventure for one of my characters! Want To Hear The Entire Playlist? Can’t wait to hear the entire novel playlist? 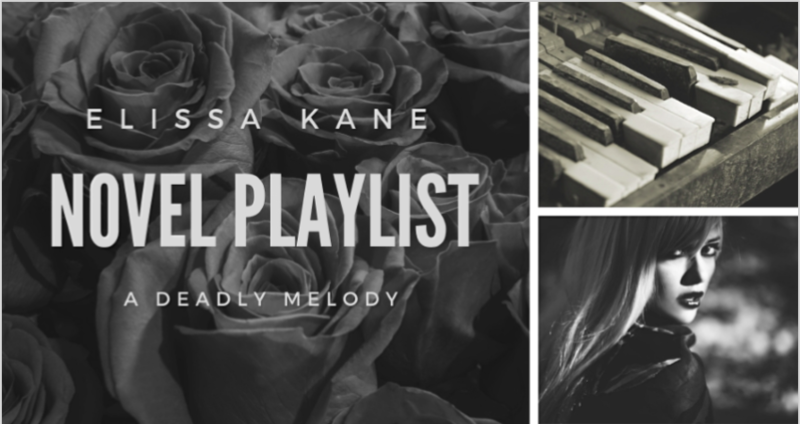 You can check out all of my songs for A Deadly Melody on my elissakwrites Spotify playlist. If you have Spotify, which you should because it is awesome, you can follow the playlist for updates when I add a new song or ten! Or, you can find links to all of the playlists, here. 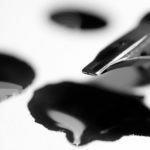 Previous Post I Love NaNoWriMo, but. . .